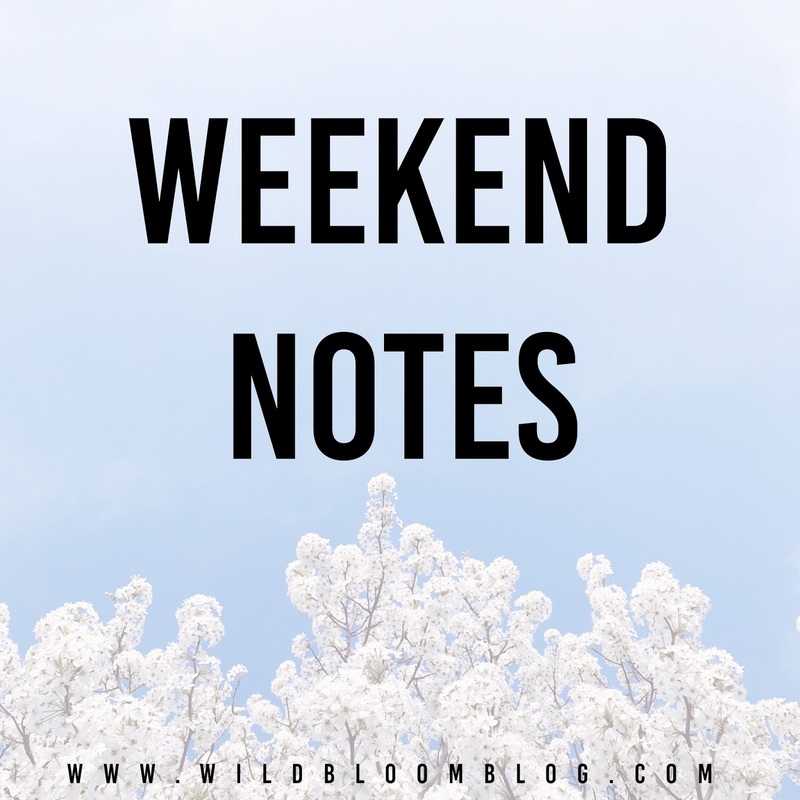 W I L D B L O O M : WEEKEND NOTES // volume thirteen. - we had a pretty good easter weekend. jared + i both had to work on saturday. when that happens, our weekends tend to feel pretty short, but i only have two more saturdays left this year! we had an easter dinner with his family on saturday evening. jackson had a blast seeing everyone. i didn't get him an easter basket because homeboy isn't going to remember it. - i am so thankful for the people in our lives who have helped out with jackson. it truly takes a village. life will change a lot when jared goes back on first shift, and we are so excited! when i look back on the first six months of jackson's life, i feel proud of the transition + growth during those times by myself. + i was listening to this episode of the coffee + crumbs podcast about social media recently, and it really challenged me. i've been mulling over this thought all weekend: when i look back at my life when i'm eighty, what i'll remember are the memories with my people, not likes + comments + followers + such. + when love feels heavy. // this article left me sobbing. goodness. + hulu is making a limited series of little fires everywhere!